These aren't your average pair of shoes. Vans just announced the top 50 semi-finalists for the ninth annual Custom Culture Competition -- and let's just say, competition is high. This year's competition saw more than 500 high school hopefuls, all vying to win $75,000 for their school's art program. 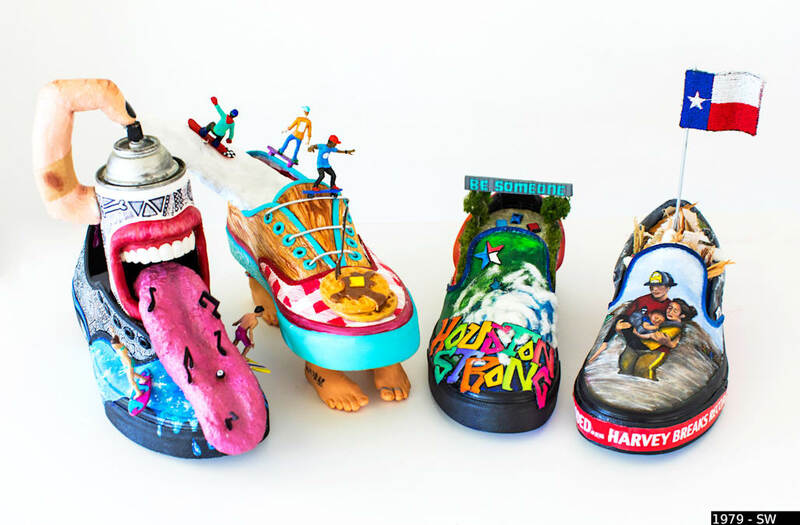 Young artists across the country were commissioned with two pairs of blank Vans shoes, tasked with illustrating the themes of "Local Flavor" and "Off the Wall." Students also had to explain how the prize money would be put to use and benefit their local community. "Vans Custom Culture reinforces our commitment to fueling the next generation's creative minds and opens pathways for brighter and more colorful futures," explained Megan Klempa, manager of the program. With the top 50 semifinalists selected from around the country, Vans is allowing the public to vote for the top 5 finalists. The four other runner-ups will each receive $10,000 for their school -- but voting closes May 4th, so make sure you cast your vote for your favorite pair of shoes here!